The gulfs between the comforts of home and strange new adventures in the outside world are often the most paralyzing on our emotional well-being, but underneath those uncertainties are the chances to discover who we are meant to be. John Crowley’s “Brooklyn,” a movie as moving as it is well-made, regards those gestures in the embrace of something rare: an impulse of simplicity. 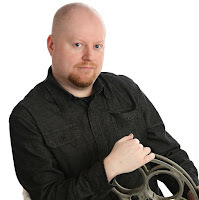 If the trend of the times is projected by the entertainment it yields, then it is no wonder such an idea seems so foreign to us right now; it is no longer just enough to tell a basic story about the inner challenges of mere characters, because audiences would rather rest in the embrace of more complicated – and action-driven -- endeavors. Perhaps that suggestion lends credence to the necessity of an arrival like this, though. At the core of all the worldly nonsense that fills our vision, we embody an existence where we must love, experience and find happiness amongst the noise. Here is a precious little movie that removes all those outer distractions, and recalls the resonance of basic faces that have no greater goals other than to, you know, find their place in a world where it is hard to hold onto grand aspirations. A lot of our weakened hopes rest firmly in the eyes of those standing in the foreground; they are young and naïve, but still carry that sense of purity in conviction that fills us with resounding admiration. The focal point of them is a young woman who arrives at the center of a cultural crossroads just as the movie opens, a wide-eyed and nervous lady named Eilis (Saoirse Ronan) who has just been granted a working visa in the United States. She is a quiet girl tugging along in the shallow waters of social awkwardness in a small Irish village, and her news is not something that inspires grandiose excitement; when the details are shared with coworkers and family members, there is a sense that her decisions are roused from selfish desires rather than a mere opportunity to better herself. The standalone voice of reason in those catty sentiments is her older sister Rose (Fiona Glascott), and when the two are divided by miles of ocean they carry on their deep bond through a dense assortment of letters and memories that serve as emotional exposition. The setting is Brooklyn in the early 1950s, and Eilis arrives there on the cusp of a new influx of European immigrants, who have come to America seeking the same opportunities granted to those who came before. For her, the desires are straightforward: she wants to build a career in bookkeeping (and eventually accounting), and carry on the legacy of her accomplished sister. In the midst of that primary drive, a tug-of-war of feelings will fill her with equal parts wonder, sadness and enthusiasm. She has no friends, and longs for the company of the sister and mother who were always dependable. Other girls in her boarding house regard her with sarcasm and scorn. Boys at first don’t seem all that interested in anything she has to offer. And when she fails to engage customers in friendly banter behind the counter of her upscale department store, she is chastised for not fitting the mold of a sales clerk. Her plight is a dilemma of universal connotations, if for no other reason than to emphasize the detachment of more grounded observers. To be a stranger in a strange land is but one nightmare, perhaps, in a world where no one is willing to stop long enough to offer empathy. Resources emerge. A friendly priest (Jim Broadbent) working on her behalf offers her a full semester of studies to become a bookkeeper, and thus keep her on track for her professional goals. The kindly matron at the boarding house (Julie Walters), often sarcastic and biting at household dinner conversations, offers her the basement as a bedroom in order to give her more quiet time (and freedom) away from others. At a local dance, a young and charming Italian boy named Tony (Emory Cohen) takes an instant liking to her, and the two share lighthearted dialogue in between trips to the movies and long walks home. There is a sense in these scenes – albeit a fairly quiet one – that the joy of those experiences empowers her own sense of self-worth, and we observe her shy demeanor gradually develop into one of certainty and independence. And in the center of those realizations is the utterly charming romantic relationship that develops between her and Tony, a man so thoroughly likable that when the movie sends them off into opposing directions, it becomes a tug of war of audience desires – do we want to stay entirely with Eilis on her journey of discovery, or do we hope his charisma will upstage the film’s pattern? The screenplay by Nick Hornby, which adapts popular source material by Colm Toibin, works from within a formula that is neither cheap nor contrived for the sake of shallow impulses. It is inevitable for the story, for example, to force Eilis to consider her future when a family tragedy calls her back to Ireland – and potentially into the arms of a wealthy and charming young man – but both Hornby and Crowley do not allow the material to devolve into savage melodrama. 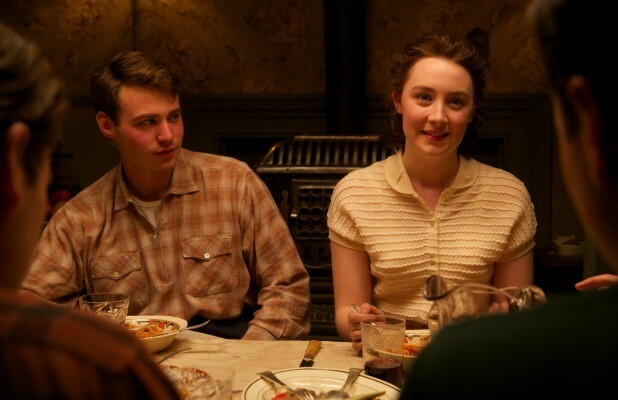 Our minds are programmed to expect critical scenes in which opposing suitors may come to blows, or others in which heartfelt conversations between those who are being hurt must occur, but neither have place in “Brooklyn” – this is a movie about a solitary experience, about a woman who must arrive at the center of her capabilities not because of danger or elaborate farce, but because of the cause and effect of her decisions. Details mandate her internal struggle, but the emotions are not manipulated by plot twists or convenient circumstances. Consider a decisive scene in which Eilis, while in Ireland, must attend the wedding of her close friend. As the preacher delivers a speech about the importance of marriage vows, the camera spies her eyes shifting back and forth in silent contemplation. What do the words mean to her, so long after she has secretly married her Italian beau and has been spending time entertaining the affections of another? Not a word has to be spoken for us to comprehend their significance, and the sentiment is echoed in a variety of strategic scenes, including one where she receives a letter from Tony and tucks it away in a bedroom drawer, where it joins a dozen others already unread. So rare is it for us to find ourselves in the embrace of a story that trusts our intuitive nature to observe; in a time where every detail must be spelled out in plain English, the idea of being trusted to arrive at our own conclusions is unique, almost foreign. “Brooklyn” provides an ample supply of those opportunities, especially in the last half, and the minimalist dialogue is amplified by a meaningful exploration of values rather than reactionary soundbites. Carrying those qualities would be hard without the push of respectable performances, and how fortunate for Crowley that he finds four of them in Broadbent, Walters, Ronan and Cohen (a revelation). That they all embody these characters with a natural gusto gives them an added sense of authenticity, and there are moments when some of them engage in activities that don’t even seem scripted; it’s as if their director supplied them the creative freedom to react and behave in synch with baseline scenarios, instead of forcing them into lockstep with narrative or oratorical specifics. Much of this might imply that “Brooklyn” is just as basic and uneventful as it is good, but there is a power in the execution that elevates the result beyond passive standards. It doesn’t take the material lightly, and recalls the promise of the American dream. It thinks about critical behaviors and details. It cares deeply about Eilis, and senses her inner turmoil with the thoroughness of meditative observation. In many ways, it also celebrates the nature of its era and the desires of characters not yet weathered by age, and there is a scene in which Tony mimics a dance move from “Singing in the Rain” while walking his girlfriend through the park that left me grinning in nostalgic joy. If anything, it’s because both films share a sense of perspective that is singular: our lives can be strange and lonely in the rush of new experiences, but it is when we come together and show one another kindness and love that we realize our great potential. Eilis goes through a lot of alien sensations on her journey towards living this new dream, and much of the road is inundated by divisive decisions that she has never had to make. But through the compassion, respect and thrill that she allows herself to feel in the company of those that only seek to inspire delight, the portrait’s details sharpen into stunning realism. No other film of 2015 has dared to suggest something so simple, or do it with such painstaking brilliance. David Keyes has written a review almost as insightful and beautiful as the movie itself. He completely understands what makes Brooklyn work, and no further comment from me is necessary.